Unique wine bottle cooler and carrier. 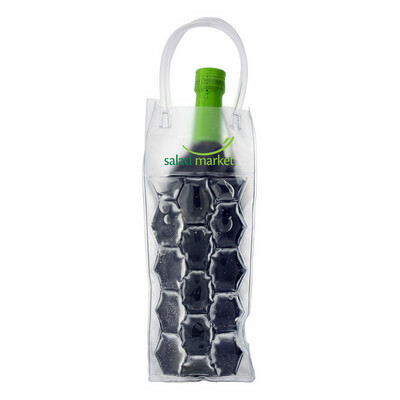 Put this flexible wine tote into the freezer to turn the pockets of water into ice, keeping wine bottles placed into the tote cool. The water pouches also act to insulate glass wine bottles from breaking during transport. ?Material: Clear PVC, Colours: Clear, Dimension: 90mm w x 355mm h. Price includes : 3 Day Service* Screen Print - One Colour/Location. Setup is included.